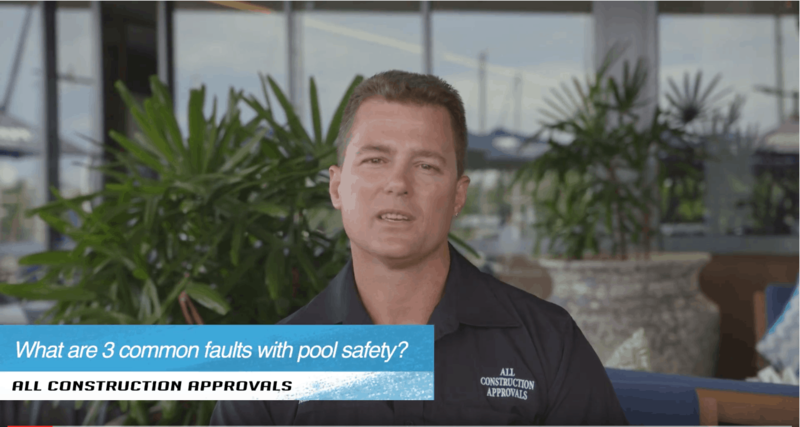 Do you know what the 3 most common faults with pool safety are? Resuscitation signs, generally they will not last forever so they need to be looked at and ensured that they are in good physical condition, they are not obscured and that they are the current resuscitation sign. Secondly, objects that are placed within the pool area or adjacent to the pool fencing on the exterior can compromise the safety of your pool fencing. They can be used to climb or assist in climbing your pool fence, so ensure that you keep at least a metre buffer on the exterior of your swimming pool and 300 millimeters on the interior of your swimming pool, as well. Thirdly, look after your gate. The hinges and the latch mechanism require regular maintenance. Failure to look after these valuable pieces of hardware will result in the gate not functioning correctly and potentially being left ajar, and this can lead to some very tragic circumstances. If you require a pool safety certificate then click the button below to book a pool fence inspection now.